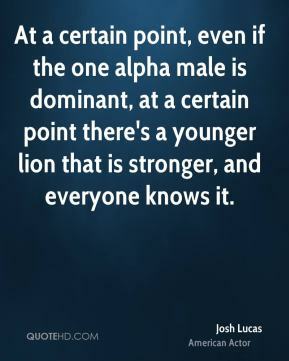 At a certain point, even if the one alpha male is dominant, at a certain point there's a younger lion that is stronger, and everyone knows it. 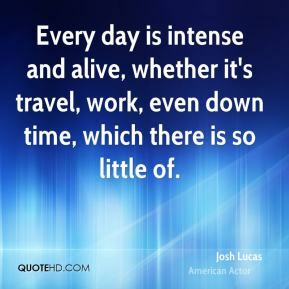 Every day is intense and alive, whether it's travel, work, even down time, which there is so little of. 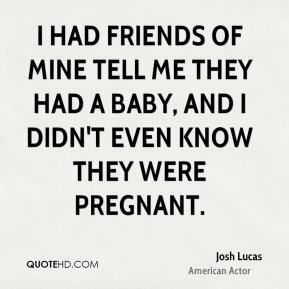 I had friends of mine tell me they had a baby, and I didn't even know they were pregnant. 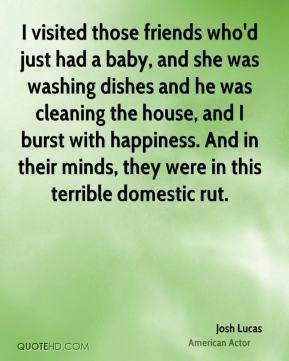 I visited those friends who'd just had a baby, and she was washing dishes and he was cleaning the house, and I burst with happiness. 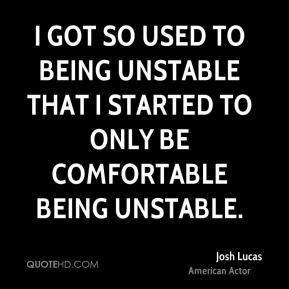 And in their minds, they were in this terrible domestic rut. 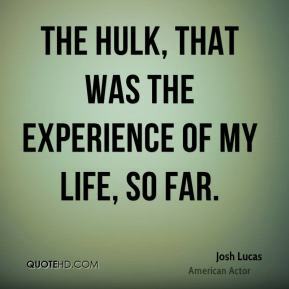 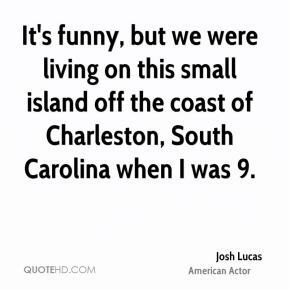 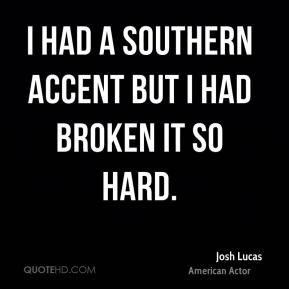 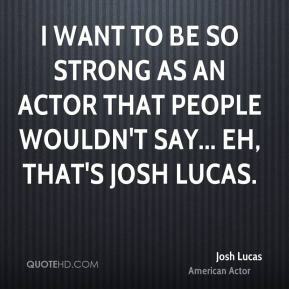 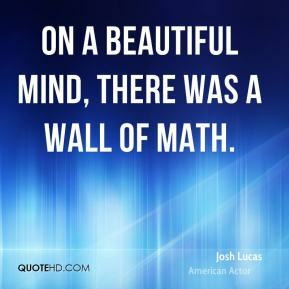 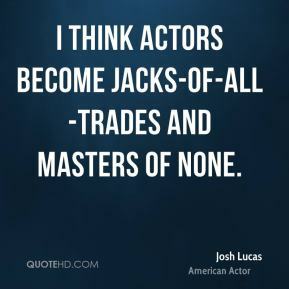 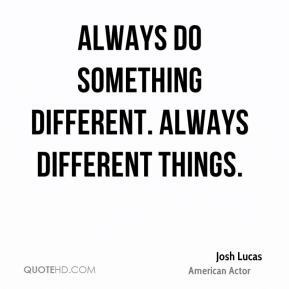 I want to be so strong as an actor that people wouldn't say... eh, that's Josh Lucas. 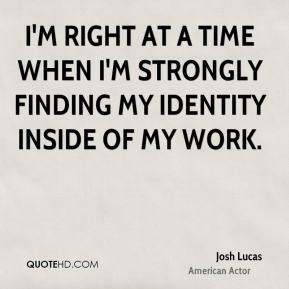 I'm right at a time when I'm strongly finding my identity inside of my work. 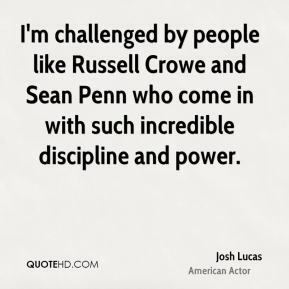 I've worked with some incredibly difficult directors but my understanding is that a lot of the best people are driven from a place of being extremely challenging and dark within their way. 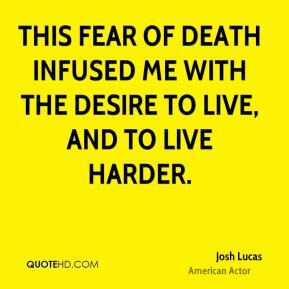 This fear of death infused me with the desire to live, and to live harder.